Hi beauties, this summer, with my little Vera I especially need very comfortable shoes, so here I bring you the latest ones arrived at home, of the New Spring Summer 2017 Collection from the Italian label Fratelli Rossetti, whose shoes are always very comfortable, with cool design and "Made in Italy" quality. Ya os mostré unos de sus modelos, unos zapatos loafers con borlas de color blanco con un estampado de flores pintados a mano de manera artesanal. 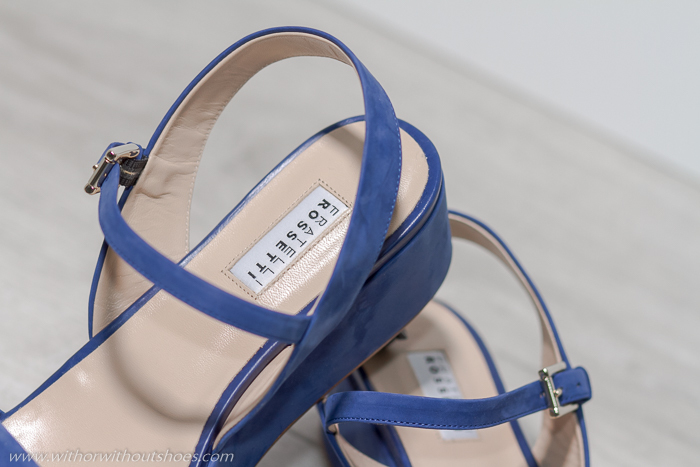 Pero esta vez he elegido unas sandalias con plataforma, con pulsera atada al tobillo realizadas en nobuk de color azul klein que son preciosisimas, estilosas y comodísimas. Con estos calores las voy a estrenar ¡¡ya! !¿Qué os parecen? Un besazo y muchísimas gracias por vuestros comentarios. Que disfrutéis del martes ¡¡¡Muacks!!! I already showed you one of their styles, a lovely pair of loafers with white color pompoms and handpainted floral print. 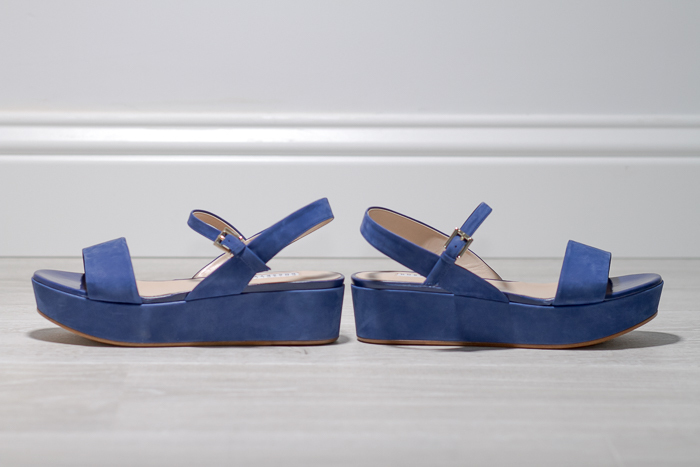 But this time I chose an awesome pair of Sandals made of soft nubuk calfskin with 10mm platform. 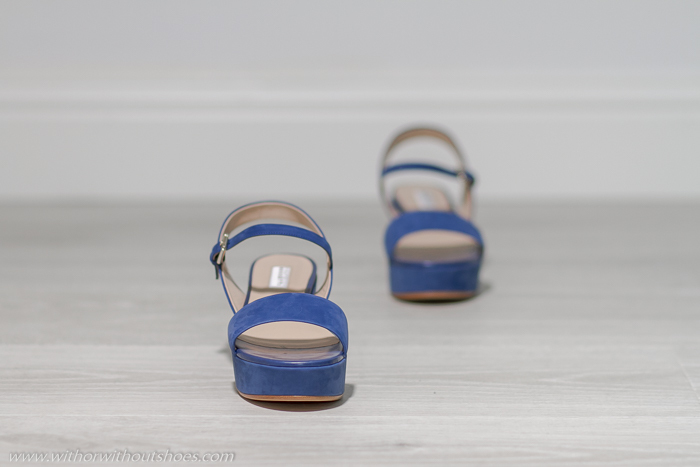 Furthermore, the ankle strap makes them very feminine and the cobalt blue color is amazing. I'm going to wear them right now! What do you think about them? Do you like them? Lots of love and thank you so much for your nice comments. Enjoy the day! Pero por poco me caigo de espaldas cuando he visto el precio!!!! Me encantan éste tipo de sandalias de plataforma plana!